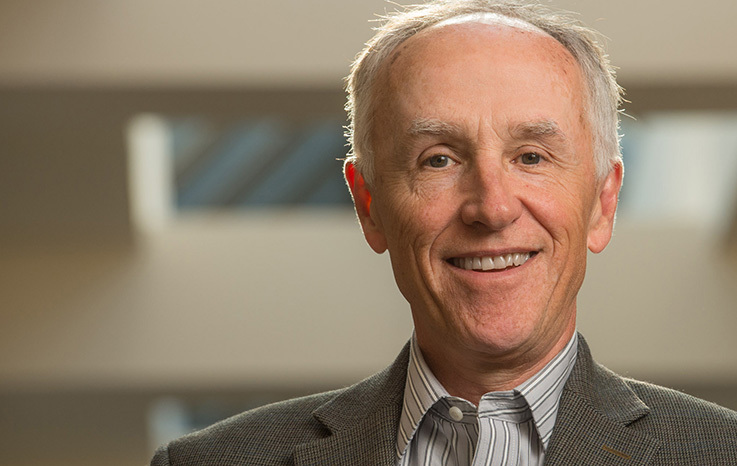 David Cortright is the director of policy studies at the Kroc Institute for International Peace Studies and special advisor for policy Studies at the Keough School of Global Affairs at the University of Notre Dame. He also is chair of the Board of the Fourth Freedom Forum. Cortright is director of the Kroc Institute’s Peace Accords Matrix project, the largest existing collection of implementation data on intrastate peace agreements. He is the author or co-editor of 19 books, including Civil Society, Peace and Power (Rowman & Littlefield, 2016), and Drones and the Future of Armed Conflict (University of Chicago, 2015). He also is the editor of Peace Policy, an online journal published by the Kroc Institute. He blogs at davidcortright.net. Other recent works by Cortright include the second edition of Gandhi and Beyond: Nonviolence for a New Political Age (Paradigm, 2009), Peace: A History of Movements and Ideas (Cambridge University Press, 2008), and Uniting Against Terror: Cooperative Nonmilitary Responses to the Global Terrorist Threat (MIT, 2007), co-edited with George A. Lopez. Over the past decade, Cortright and Lopez have written or co-edited a series of major works on multilateral sanctions, including Smart Sanctions (Rowman & Littlefield, 2002), Sanctions and the Search for Security (Lynne Rienner, 2002) and The Sanctions Decade (Rienner, 2000). Cortright also is editor of The Price of Peace: Incentives and International Conflict Prevention (Rowman & Littlefield, 1997). Cortright has written widely about nonviolent social change, nuclear disarmament, and the use of multilateral sanctions and incentives as tools of international peacemaking. He has provided research services to the foreign ministries of Canada, Denmark, Germany, Japan, The Netherlands, Sweden, and Switzerland, and has served as consultant or advisor to agencies of the United Nations, the Carnegie Commission on Preventing Deadly Conflict, the International Peace Academy, and the John D. and Catherine T. MacArthur Foundation. Cortright has a long history of public advocacy for disarmament and the prevention of war. As an active duty soldier during the Vietnam War, he spoke against that conflict. In 1978, Cortright was named executive director of SANE, the Committee for a Sane Nuclear Policy, which under his leadership grew from 4,000 to 150,000 members and became the largest disarmament organization in the United States. He also was actively involved in the nuclear freeze movement of the 1980s. In November 2002, he helped create Win Without War, a coalition of national organizations that opposed the invasion of Iraq and works for demilitarized national security strategies. After graduating with a B.A. in history from the University of Notre Dame in 1968, Cortright earned an M.A. degree in history from New York University. He completed doctoral studies in political science at the Union Institute in residence at the Institute for Policy Studies in Washington, D.C.